Use the options below to browse through categories of items. 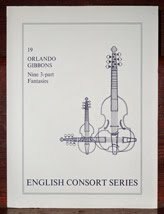 Drawn from the repertoire of the English Consort of Viols. Only three English choirbooks have survived intact from the early Tudor Period.